When will be Long Lost Family next episode air date? Is Long Lost Family renewed or cancelled? Where to countdown Long Lost Family air dates? Is Long Lost Family worth watching? 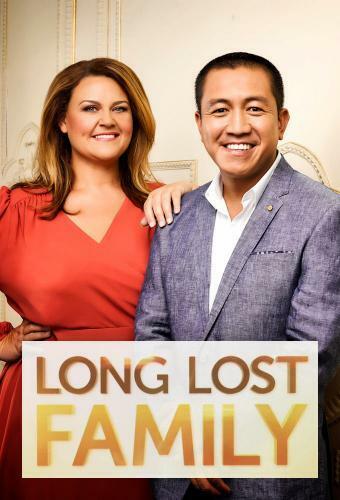 Long Lost Family is an Australian television series on Network Ten which premiered on 16 March 2016. It is based on Long Lost Family, a BAFTA award winning British television series that has aired on ITV since 2011. Presented by Chrissie Swan and Anh Do, it aims to reunite close relatives after years of separation. It is made by the production company WTFN.Long Lost Family tells the uplifting and moving stories of people who have been searching for lost family members for years, with no success, but with the help and support of Chrissie and Anh, each family member is guided through the emotional and often forensic process of searching for and reuniting with their loved ones. Long Lost Family next episode air date provides TVMaze for you. EpisoDate.com is your TV show guide to Countdown Long Lost Family Episode Air Dates and to stay in touch with Long Lost Family next episode Air Date and your others favorite TV Shows. Add the shows you like to a "Watchlist" and let the site take it from there.